Google Analytics Solutions: Spotlight on Google Surveys 360: Getting to “Why” is now easier and faster than ever before. , a powerful new part of the Google Analytics 360 Suite. Sometimes it's enough to know what your customers are buying, where they're going, and how they're purchasing. But to really understand their decisions, you want to answer a harder question: Why are they doing it? To get the answer, it turns out you just have to ask. This is only the beginning! We'll continue to iterate and offer new features for Surveys 360 in the coming months. It's available for purchase today in the accounts of all Analytics 360 Suite users in the U.S. and Canada. Go to g.co/surveys to learn more. 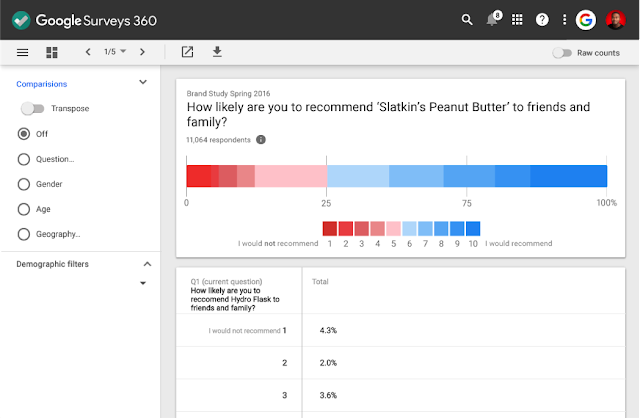 Yesterday, we launched Google Surveys 360, a powerful new part of the Google Analytics 360 Suite. Sometimes it's enough to know what your customers are buying, where they're going, and how they're purchasing. But to really understand their decisions, you want to answer a harder question: Why are they doing it? To get the answer, it turns out you just have to ask.